These pictures were only taken a few weeks ago and now the trees are completely bare. Fall is my favorite season but now that we’re nearing December, I’m ready for some snow. Yea I’ll probably be complaining about it after the first few blizzards but for now, I’m craving it. It feels much more Christmasy when there’s snow on the ground! 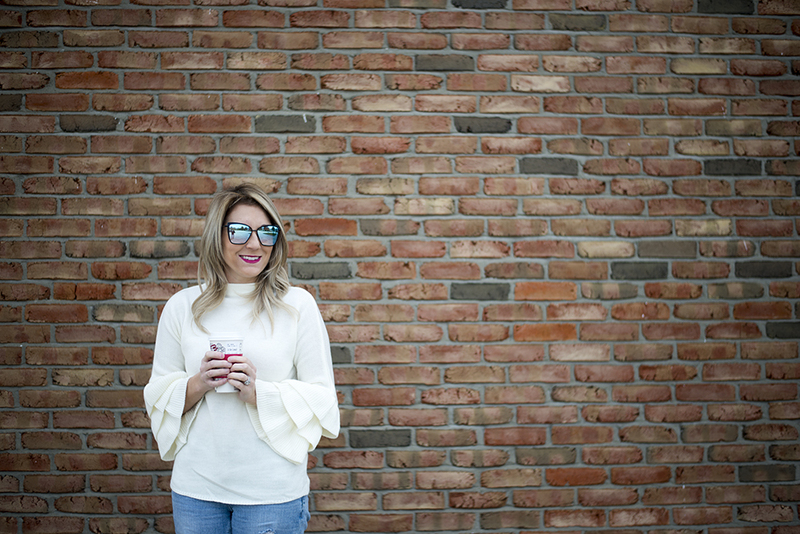 I’ve been obsessing over ruffle sleeves for quite some time. 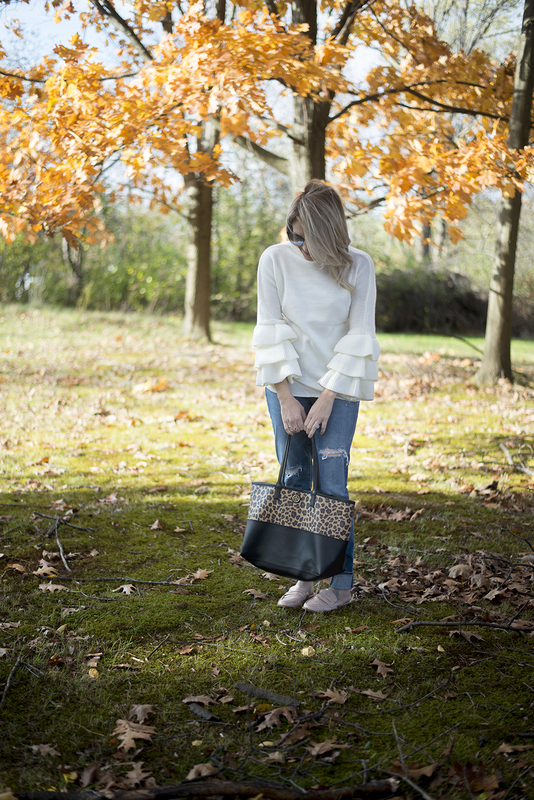 So you can imagine my excitement when it finally turned to sweater weather and I could stock up on all the ruffle sleeves! I found this one on Amazon (which they’re not sold out of in this color) but they have four other colors that I’m swooning over. I will warn you, it’s a one size kind of deal and I usually wear a small. So I would say it’s more of a small rather than one size. Secret tip about ordering from Amazon; they usually offer a size chart specifically for the item you’re ordering. I also read all of the reviews because those are real people who have ordered it. This bag is also from Amazon and I just couldn’t get over how cute it was! 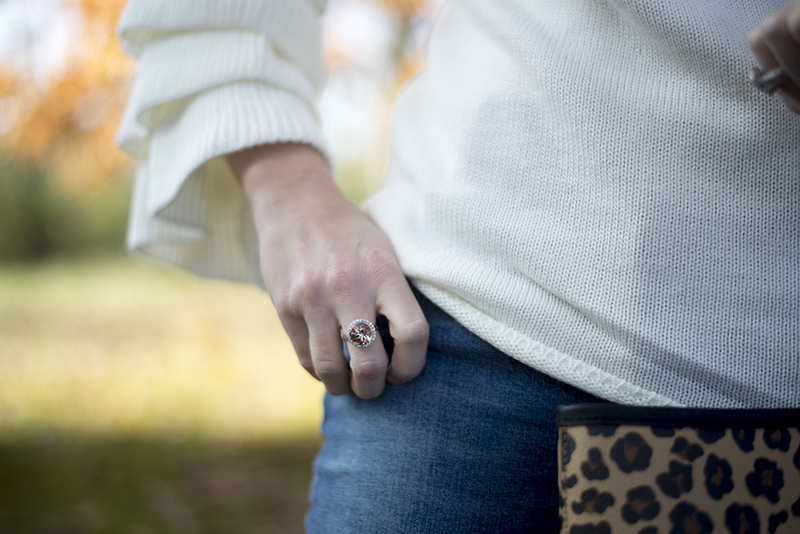 I’ve linked a few of my other fave ruffle sleeve sweaters below. I may or may not be obsessed… shhhhh.